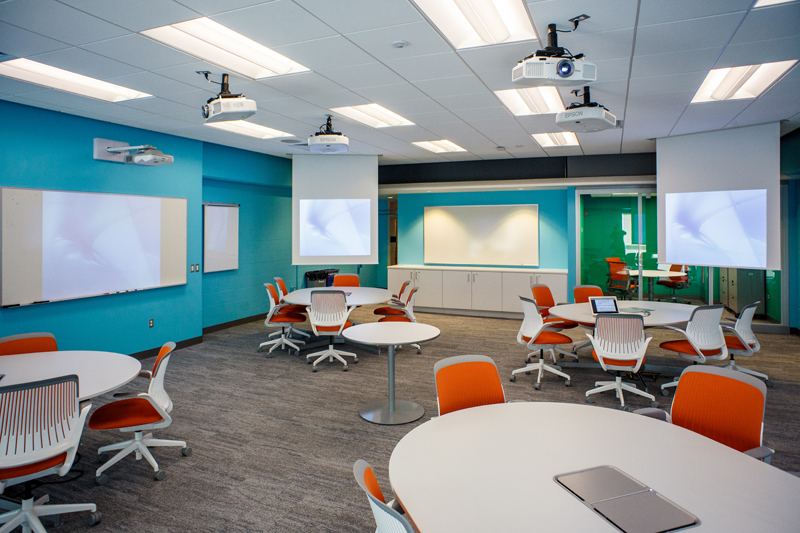 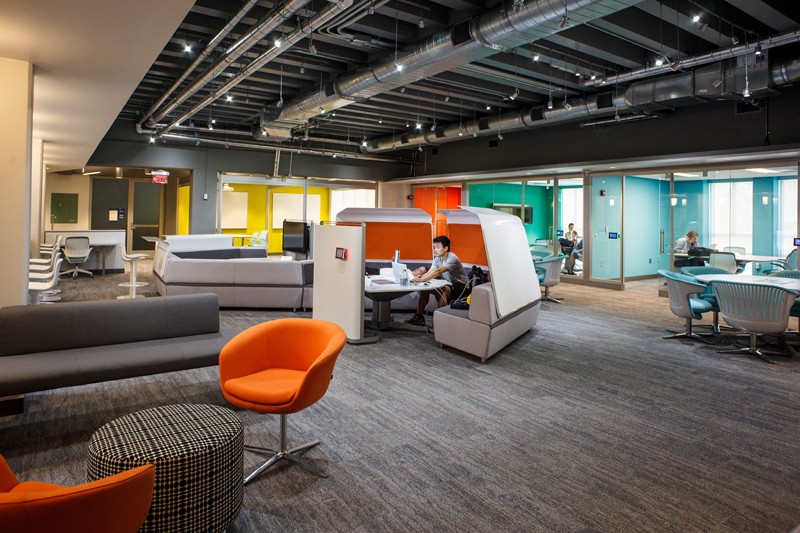 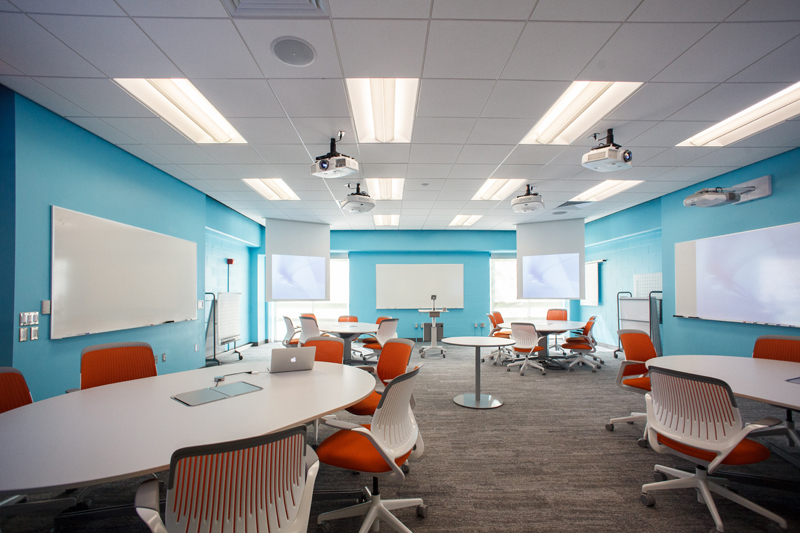 A showpiece for the integration of technology in the field of education, the Innovation Studio provides a space for interaction and experimentation within the pedagogy department. 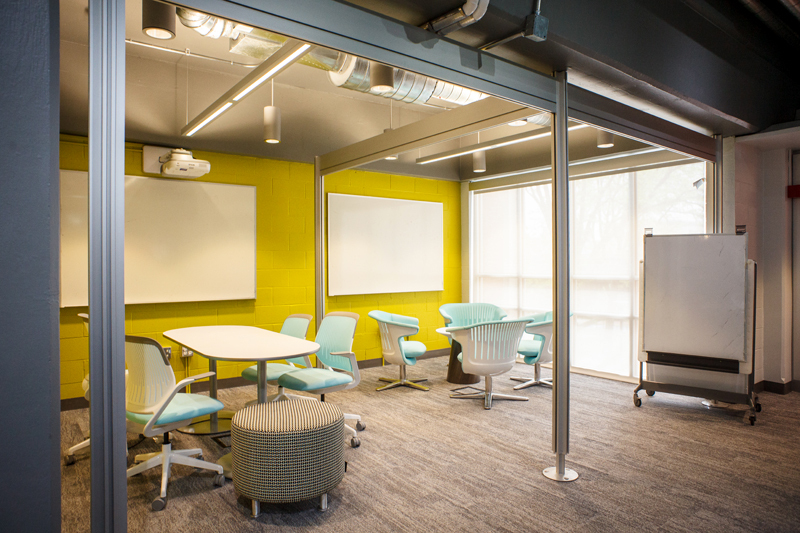 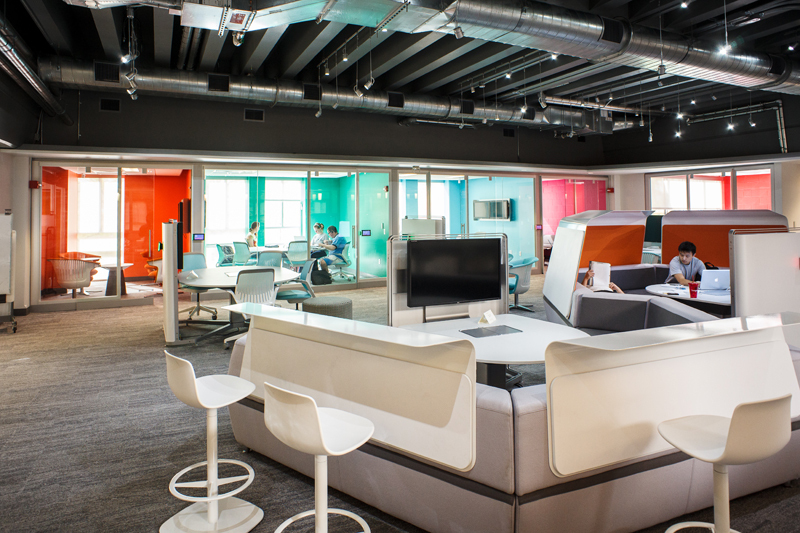 The goal of the space is to facilitate collaboration among small groups, incorporating technology into the process in an intuitive manner. 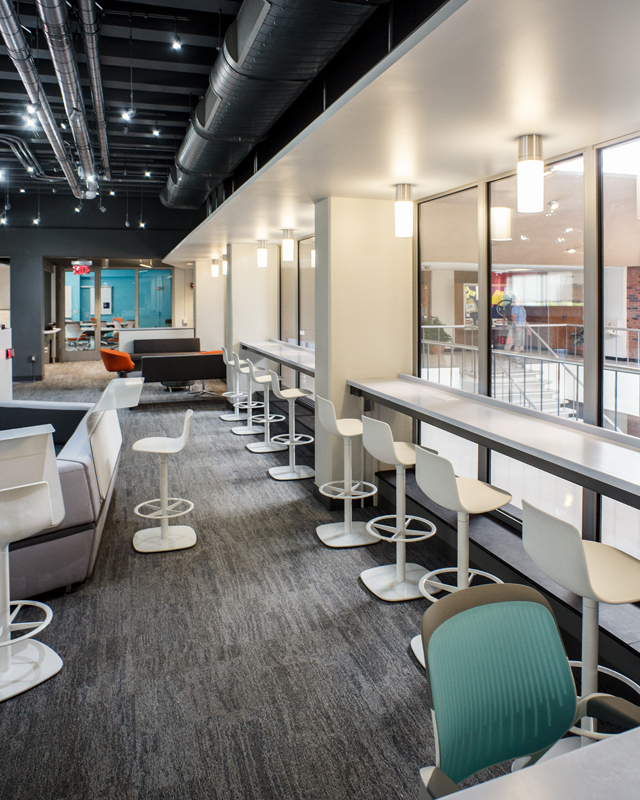 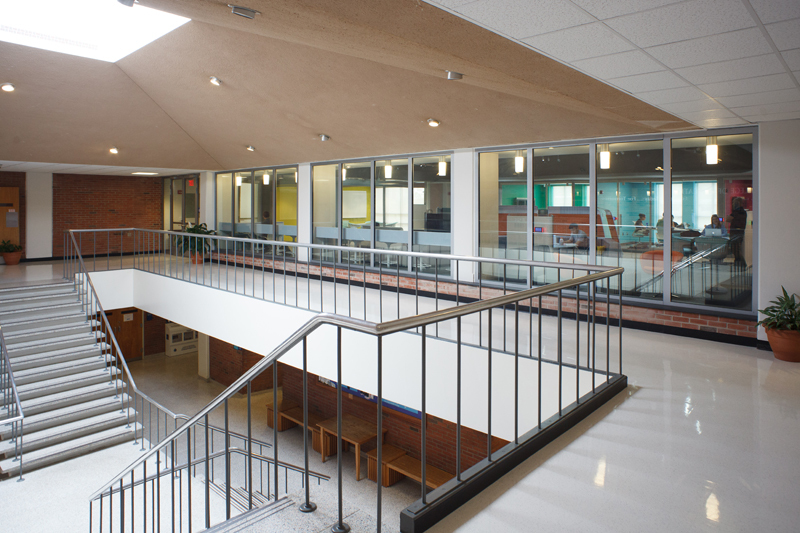 APArchitects created a design that provides, through research of various techniques, the proper methods to provide functionality of technology, as well as a high-impact space to inspire users and exemplify the innovative energy of the department.